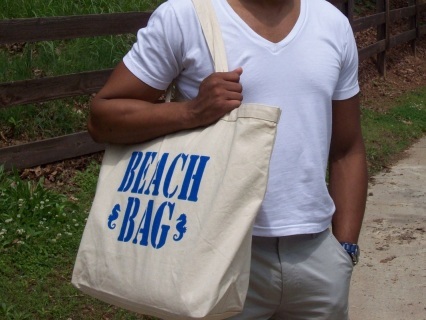 The jumbo bag is made of natural colored sturdy canvas and printed with blue ink. 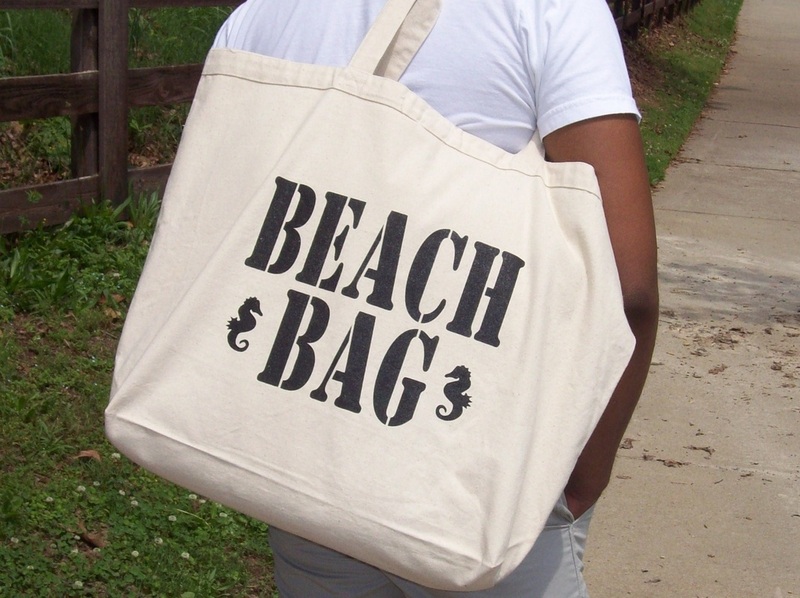 It measures 23" x 17" with a 6" gusset which is more than adequate for your next beach or pool outing. 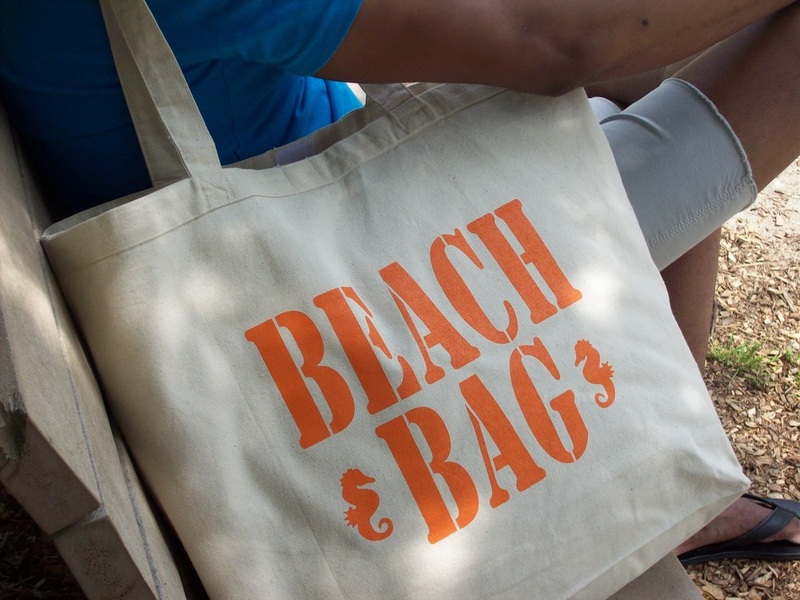 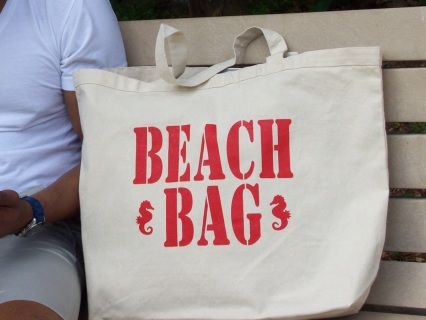 The Beach Bag is also available in Orange, Black, and Red.